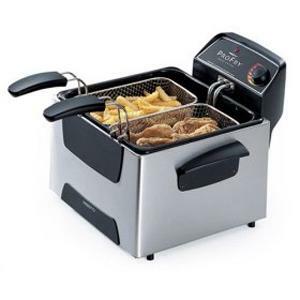 This Professional-Style Deep Fryer has dual baskets so you can fry two foods at once or extra large batches. With its big 12-cup food capacity you can fry family-size quantities in a hurry. The oblong-shaped baskets are ideal for large pieces of chicken or fish. Very good service.A Great selection of products. Will buy again!